New York Comic Con 2016. T-1 week. Show Floor #2661. This is the superbowl for #TeamZindan. We will be offering limited run prints of 25 specifically for New York Comic Con. 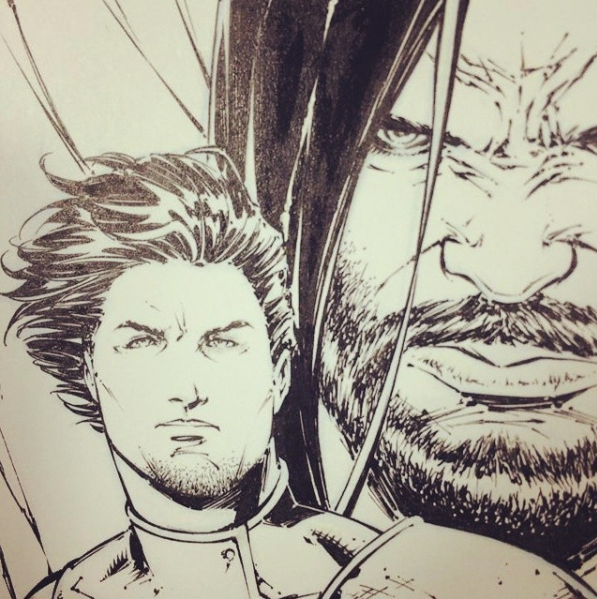 Be sure to meet the writers, Omar Mirza and Khurram Mehtabdin, penciler Sajad Shah, inker and finisher Adelso Corona who will be present throughout the con. The first run of Issue #2 will be available for purchase for $2.99, along with Issue #0 and Issue #1. A combined set of all three books will be available for purchase for $10. Starting in 2014 with the debut of Issue #0, New York Comic Con has been the launchpad for the series. 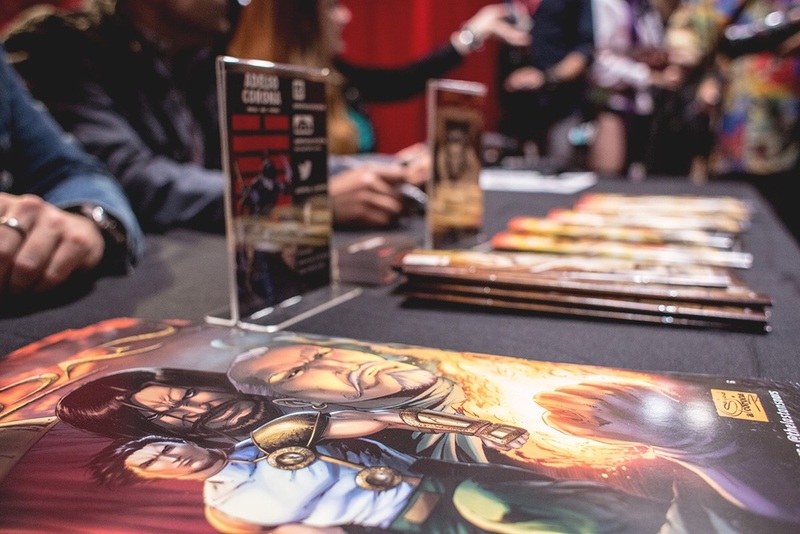 As home base for creators Omar Mirza and Khurram Mehtabdin, #NYCC has been the premier showcase of the series. We are unbelievably excited to release Issue #2 on Show Floor #2661 on Thursday, October 6th, 2016. What we do to prepare. 7 foot mock up of Khan. ✓--- Wait, what? Spending much of his childhood as an orphan, Timur heavily relied on his elder brother Zain for survival. They were traded and sold as commodities from tribe to tribe throughout remote regions in the Mughal Empire. As fate would have it, Zain and Timur would eventually be taken in by The Ansaars,, a secret order of noble individuals who devoted their lives towards guarding the world’s worst prison, Zindan. This would prove to be a life changing experience. These experiences, although traumatic, have given Timur diverse talents. Through his time spent with the Uzbeks, Timur became a master in archery, horsemanship and grappling. As the brothers travelled from village to village across the vast empires as orphans, Timur became proficient in several languages. Timur’s childhood trauma has transformed him into a fierce fighter guided by his emotions. Only his elder brother, Zain, can place a check on him. Timur’s youthful sense of invincibility is vital for his confidence on the battlefield-however may also be one of his greatest weaknesses. With Zindan in ruins, Timur finds himself having lost everything again. However, this loss is different. The very people who gave Timur a second chance at life have been slaughtered. 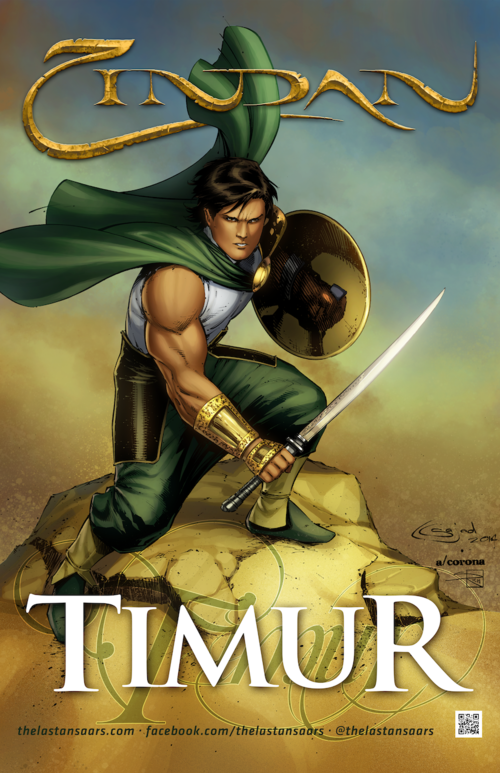 With the eldest of The Ansaars dead, it is up to Timur and his brother to keep their oath and save the world from all of the incredible evils that have escaped. I've been working on the Zindan: The Last Ansaars comic series since Issue #0 (which debuted at the New York Comic Con back in 2014), as letterist. Being a part of #TeamZindan has been nothing but a positive experience for me as an artist. Even though I'm located a fair distance away from the writers, in Riverside, California, I still feel a good connection with the team. I have been given positive input on what works, and ideas on how to fix things that don't. I am always asked my opinion on color schemes from the other artists, granted I also do colorist work in my career as well. There is a sense of unity, and team work here. Getting down to my work process as the letterist, when I first started out on this comic my mission was to get an idea of what the comic was about, and try to understand the flavor and atmosphere Zindan has. Most people don't realize that lettering is an art in and of itself, and the goal of any letterist is to make sure the two don't clash. -And of course, that everything is legible! Zindan struck me right away as being both very stylized, and also high quality level work. I wanted to make sure my initial take on the letters merged with this as much as possible. Because Zindan is a South Asian / Middle Eastern tale, after getting an idea of what the comic was about, both story wise and visually: I did research on writing and calligraphy from that part of the world, to make sure I kept things consistent with the artwork. The golden treasures and flames, were the elements that I took from the comic to create its various letter color schemes. Which you can see, when you look at things such as the location/date boxes, and SXF used in battle scenes. The font used in those, also follow the Mughal flavor for consistency. I do my actual lettering in Adobe Illustrator, I like using that program because it keeps my work vector and resizable. Though any page cutting or resizing that may need doing, is always done in Photoshop for convenience. Sticking to script, catching any errors, as well as being willing to make edits (if something was later rewritten for the sake of the comic flowing better, along with correcting your own errors... Both may pop up from time to time, but go hand and hand with making a book) are important qualities any good letterist aims for, thus I do my best to keep to that. It's been three issues so far on this comic, and I still look forward to, hopefully, many more. He's big. He's mean. You probably wouldn't want to mess with him. 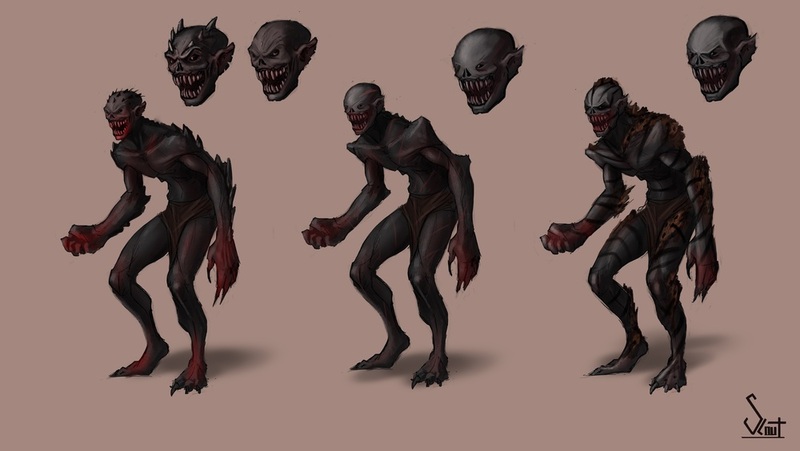 Khan The Man Eater first appeared in Zindan Issue #0: Homeless in 2014. 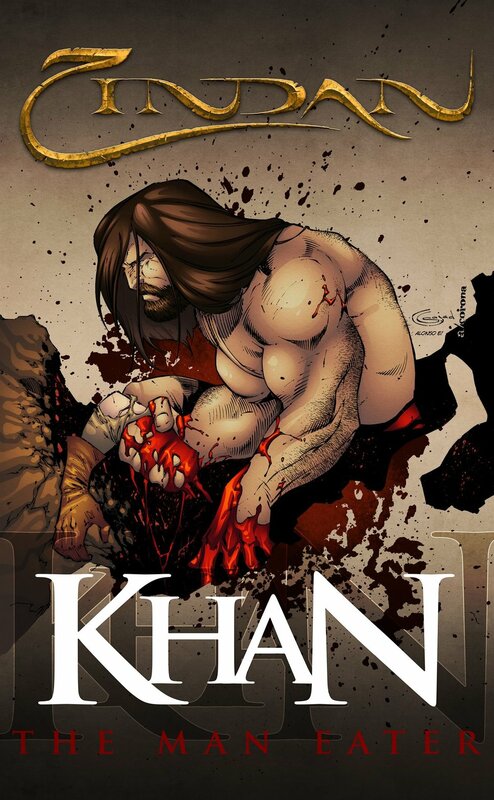 Known for his towering size and bulky muscles, Khan The Man Eater is a force to be reckoned with. Feared by the Mughals as a mastermind of violence and destruction, it would take years for the Imperial Army to capture this beast of a man and lock him up in Zindan. Khan is more than seven feet tall, and hails from a small village outside of the Khyber Pass. He devoted his life to acting as a mercenary for the highest bidder. His upbringing and true loyalties are shrouded in mystery. Khan is known for achieving complete and total control over his victims via brute force and torture. His infamous nickname, "The Man Eater," hailed from rumors of him consuming the flesh of those who opposed his dominance. It is thought that over 10,000 men were killed throughout the years in attempting to capture Khan. He did indeed-and left a bloody trail behind him. Considered to be one of the world's most dangerous criminals, Khan possesses fighting skills like no other. Soldiers from the Imperial Army refuse to engage him in combat, for it is a guarantee of a horrific and painful death. 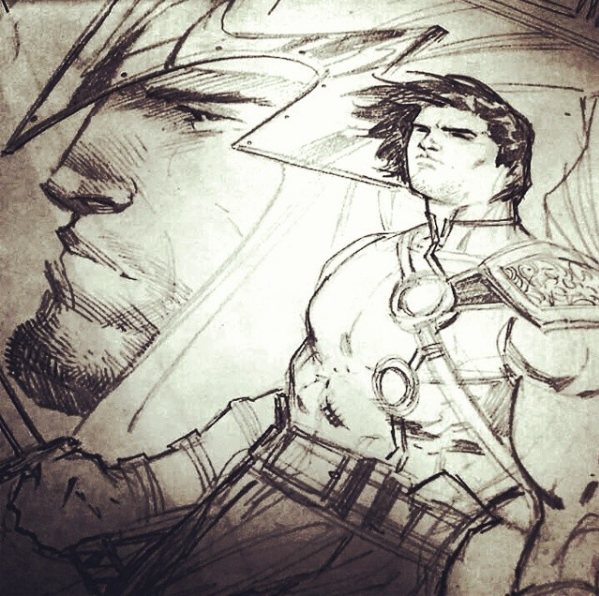 Will Khan team up with The Immortal? Stay tuned to the next issue of Zindan to find out. 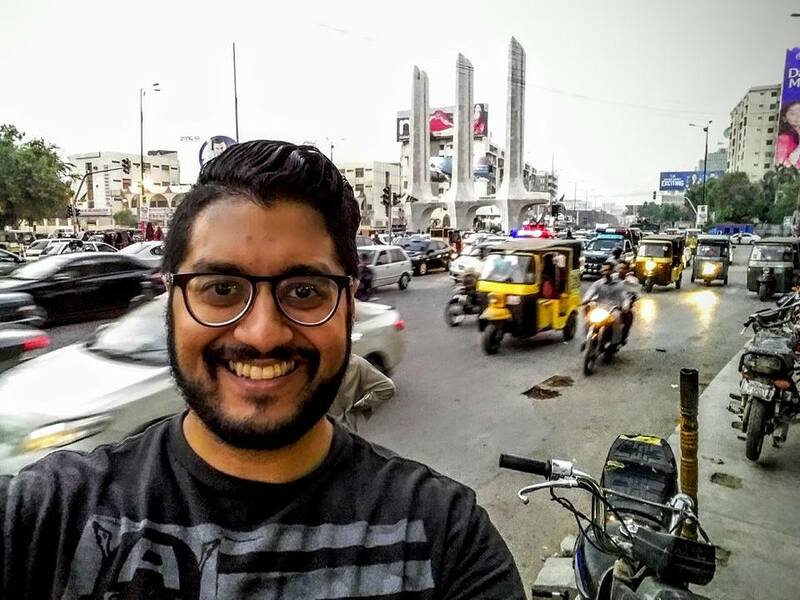 Zindan travels from NYC to Karachi! Storytelling is an activity which has captured the imagination of humans throughout the centuries. From the cave paintings made approximately 34,000 years ago, to the modern day comic, storytelling has been a form of communication, a method of sharing culture and knowledge. 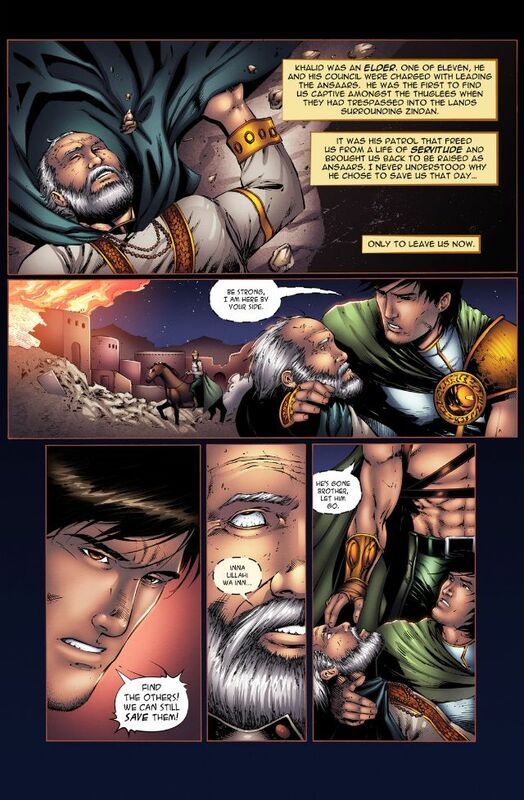 'The comic' method was chosen by the team behind Zindan as a way to tell a story set during the Mughal rule of the subcontinent. Khurram Mehtabdin, co-creator and writer of Zindan, was invited to talk about this experience by Metal Seinen, a Pakistan based non-profit which works on cultural exposure and mentorship programs. 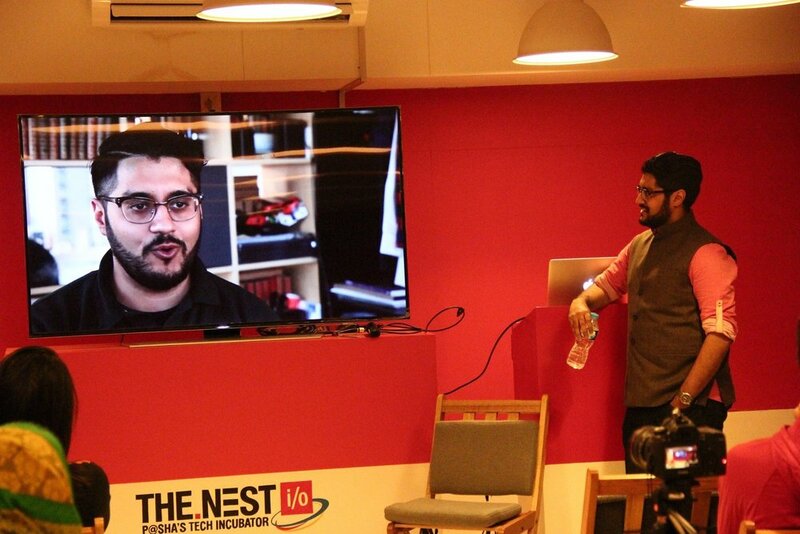 The session was organized with help from the local US consulate’s cultural center at the Nest I/O in Karachi, which is a startup incubator. The session discussed Zindan, the process of creating a comic, and why it is important to have a South Asian comic in the United States. Khurram discussed various topics with the attendees and guided individuals who were looking to tell their own stories through comics. He spoke about the process of writing the story, the development of the characters, and the logistics of getting a comic book penciled, inked, colored, lettered, edited and printed. One of these attendees was Imran. He was greatly inspired by the dedication of the Zindan team and their devotion to tell their story. Since Metal Seinen offers a mentorship program, Imran and Khurram got together to create a one page comic strip, sharing a short story. This short story will be part of the content that the Zindan team will be placing in Issue #2 which will be released in October 2016 at New York Comic Con. Metal Seinen plans to connect more mentors with individuals in Pakistan in the future. 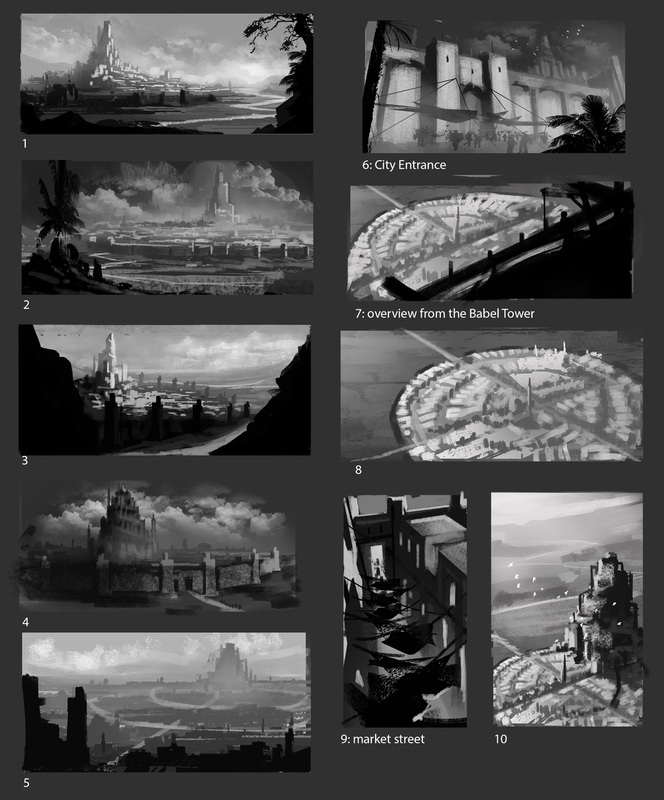 It is also working on creating digital visual novels which tell local stories from the subcontinent with the aim that it will help people understand culture better globally. More information about Khurram Mehtabdin's talk in Pakistan can be found here. Metal Seinen is a start-up based out of Karachi, Pakistan which was created by Zeeshan Shah in May 2006. The firm provides a social network for people who share an interest in learning about and experiencing international cultures such as Japan. It provides free and premium artistic collaboration opportunities for its members. These ventures currently include digital art, literary and music. It organizes events and activities for its members as well as participating in larger cultural events. The social network is maintained through its online presence and its offline events. Approximately 800 years ago, Wayl was the leader of a separatist group in the Arabian peninsula. Wayl stopped at nothing in his attempt to take over the vast empire. Fueled by his greed for power, Wayl mastered the art of black magic. It was through these spells that Wayl al-Athab became the most notorious villain in the region. His most secretive and powerful spells were kept hidden in what was thought to be a mythical relic known as the Forbidden Book. Through his intense study of black magic, Wayl was able to elicit the otherworldly power of Jinn. Jinn are supernatural beings described in old Arabian theology, with certain types being analogous to demons. 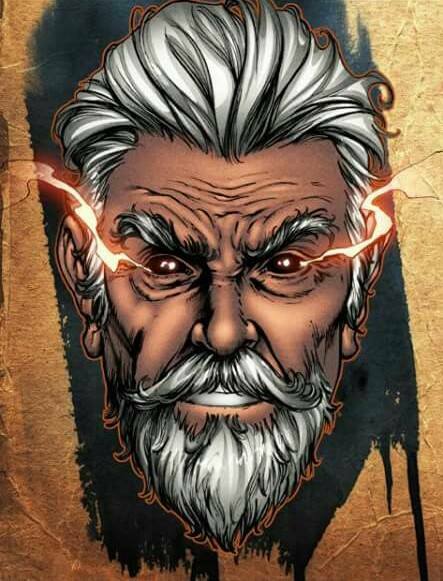 By harnessing the seemingly unlimited powers of a Jinn army, Wayl spread pandemonium and terror throughout the three major regional empires. After devoting his life towards this sorcery, Wayl al-Athab was able to unlock the alchemist’s spell and achieved immortality. Now known throughout the region as The Immortal, Wayl engaged in an all out war with the Arabian, Persian and Indian empires. After an epic eight year battle in which the kings of these three empires put aside their differences and united, Wayl was eventually captured. 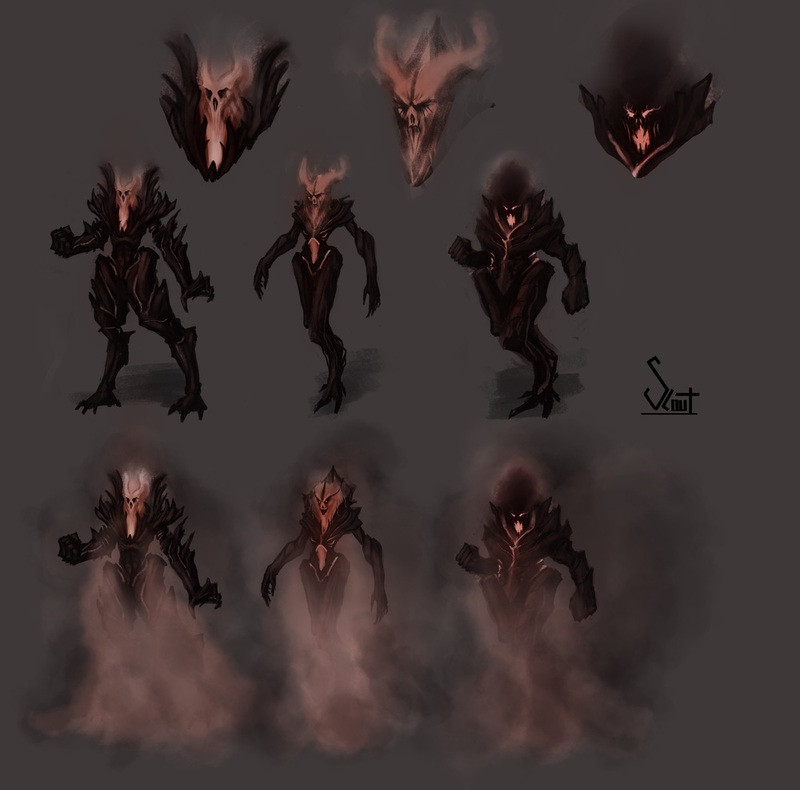 A secret prison, known as Zindan, was created to protect humanity from his evils for eternity. The three empires united in providing the most noble of men to serve as guardians over this compound. These men would be known as The Ansaars. Click on the photo below to scroll through the Immortal gallery! Sorry. We've been busy being awesome. Wow...it’s been a while! We’ve actually never been gone, just been busy with the #TeamZindan hustle for the past year! Stay tuned for a full Zindan site revamp. 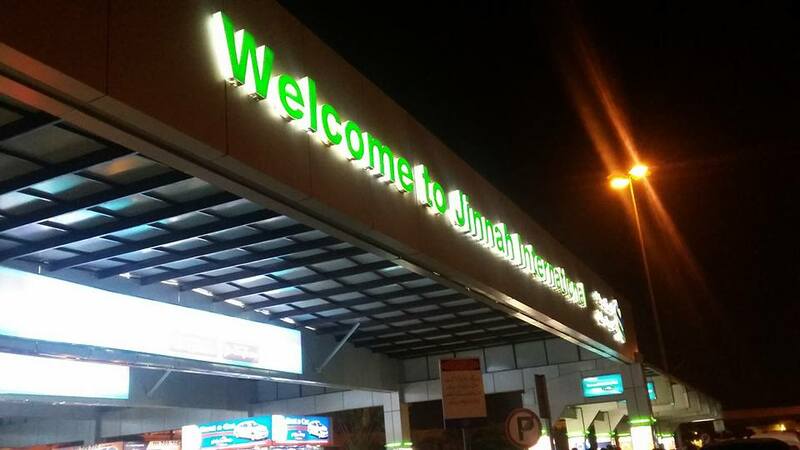 We’ll be giving you live updates here as they come! 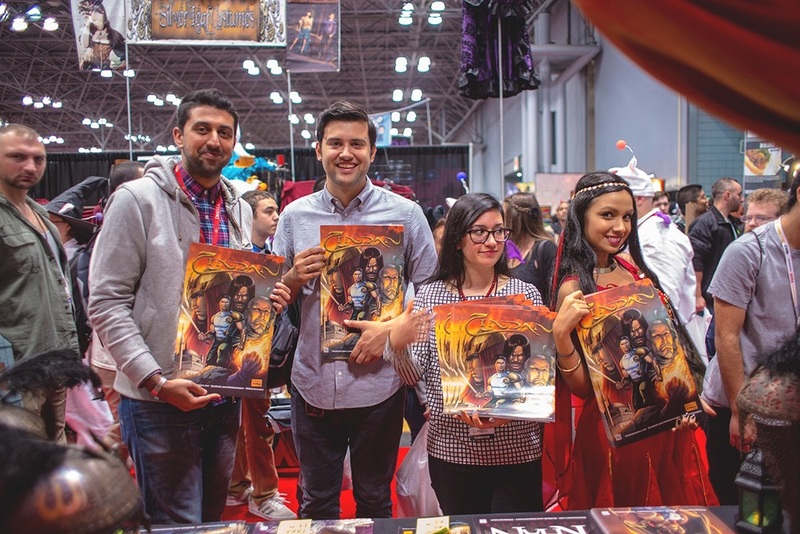 With the success of Issue #0 at New York Comic Con 2014, we launched Issue #1 at New York Comic Con 2015. Word spread abroad, and #TeamZindan was able to get digital distribution in India via a partnership with the app company HuHuba. 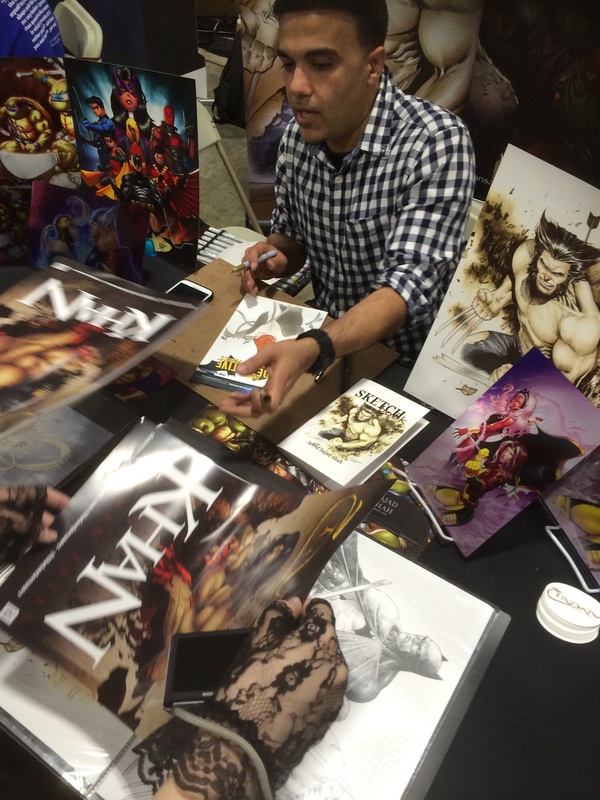 In May of 2015, Zindan creators Omar Mirza and Khurram Mehtabdin gave a talk in Washington DC to the Network of South Asian Professionals about entrepreneurship in the comic industry. 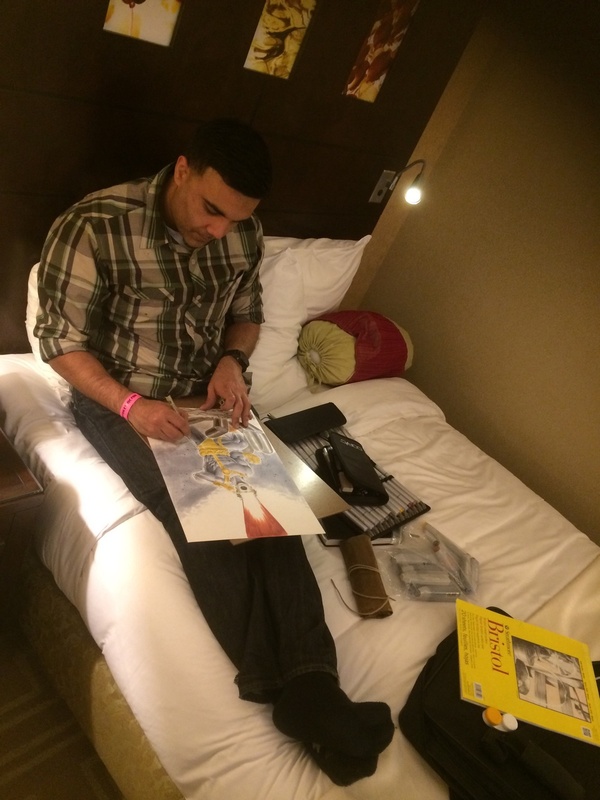 In November 2015, Zindan co-creator Khurram Mehtabdin traveled to Pakistan, spoke to University students in Karachi about the process of comic book creation and what it means to launch at New York Comic Con. #TeamZindan was able to meet with university students and tutor artist and writer Imran Hussain for his first comic which will be featured in Zindan Issue #2! 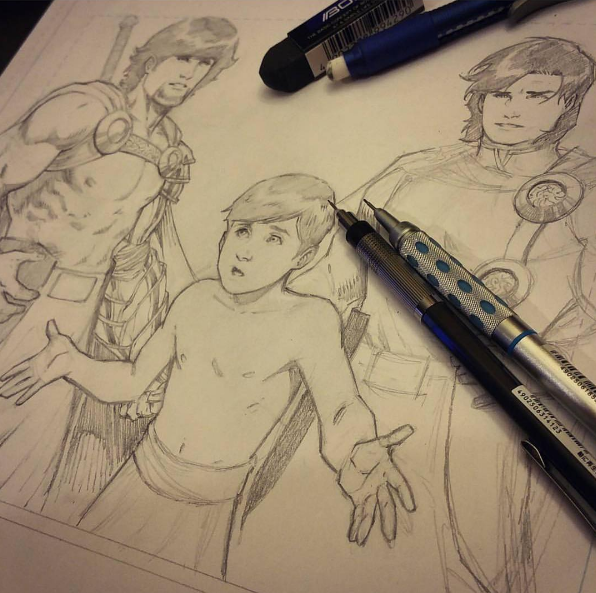 This past summer, Zindan co-creator Omar Mirza travelled to Washington DC and chaired a session on “From Medical Wards to Story Boards” about his journey as a physician and comic book creator. 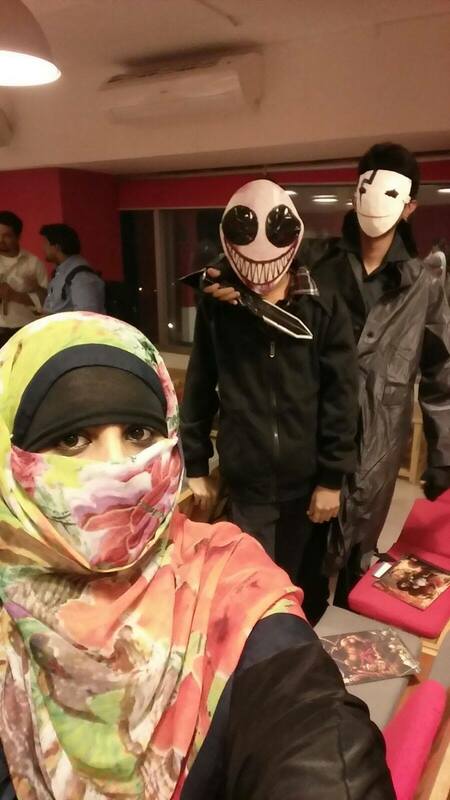 Most recently, #TeamZindan partnered with CFx Comics in Pakistan to launch the series there. We completed our next Issue #2, which will be debuting at NYCC 2016 on Thursday, October 6th, 2016. As we continue to release new content and further the Zindan brand, we hope to keep you, our loyal fans on top of our activities! Stay tuned for photos, videos, pages, exclusive releases HERE! So the last few weeks have been a very busy period of figuring out how to get comics to our fans. Here are some of the behind the scenes photos of the process of packing and mailing the comics and posters. 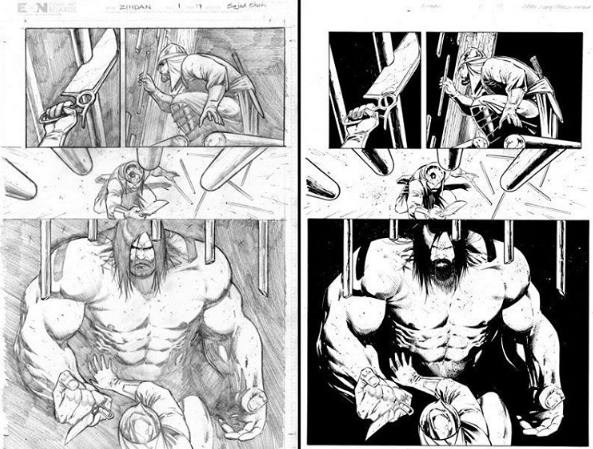 Going into this project I had always hoped that we would ultimately get our work on comixology. I had read a lot of blogs with horror stories about how comics would get denied or get lost in months of processing and it really made me nervous when it came time to submit. Surprisingly the process to submit was pretty smooth and painless, but this didn't mean we would be accepted. You can't imagine the excitement I felt when we got accepted. This was the formal acknowledgment that our project was turning from a dream to a reality! Now its November 1st and our comic has been accepted and published on Comixology and available for purchase around the world! 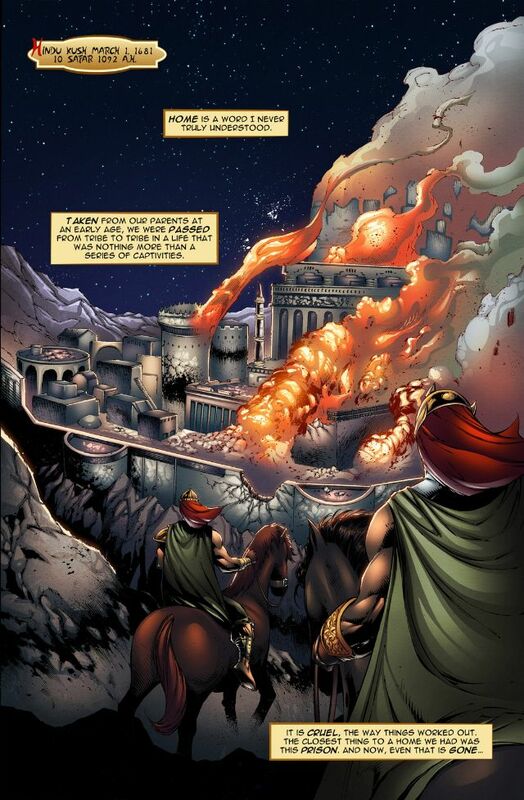 Twelve months ago Sajad Shah and I met to discuss the possiblity of making a new comic. Now I'm pleased to say we have brought that dream to reality with the release of our very first issue! This would not be possible without the amazing talents of our artists and of course the constant support of friends and family! 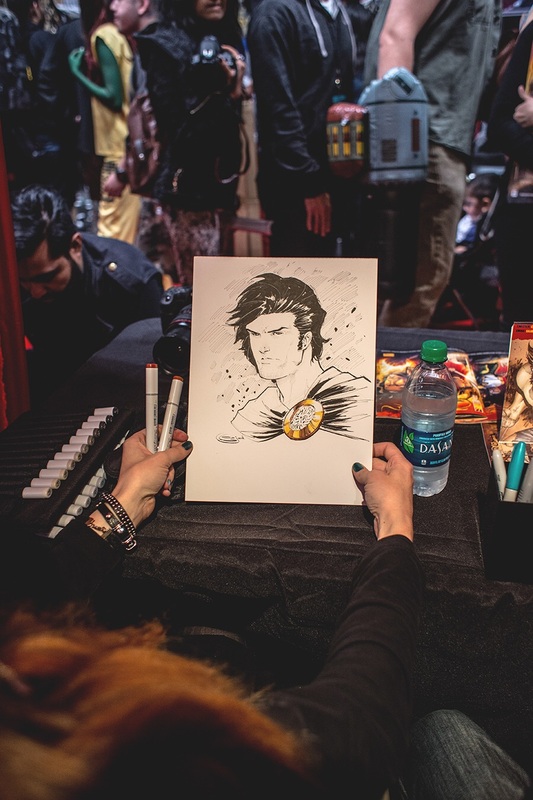 Check out the first set of pictures from our amazing NYCC adventure! So from the moment we got approved for NYCC a I was convinced that we were going to display in a Mughal Tent. You can buy virtually anything online except a fully built Mughal tent. This is how it came from Ebay. Plain popup tent in red. Starting to add gold fringe. Cutting satin to make curtains. Inside the tent planning how to drape. One corner done. The rest you can see at NYCC! Final touches! Book 0: Homeless will be available for pre-order from our online store on October 1st, 2014. Co creators Omar Mirza and Khurram Mehtabdin finish off some last minute writing, while senior editor Nadeem Mirza sketches. Hey guys sorry this post is up so late! Been crazy busy with the final touches for Zindan's launch. While you're waiting for New York Comic Con (AND OUR FIRST BOOK! ), check out these recent pictures from Baltimore Comic Con which was on September 5th-7th! Thanks for a great time Baltimore! Late Night at RagingSunStudios as we come to the conclusion of a years effort to put out our very first issue. Lots of hard work went into this and I couldn't be more appreciative of the amazing hard work from our team! Stay tuned guys here we come. Ever wonder how we get the pages colored? Here is a fascinating look at the process behind coloring. Enjoy as Alonso takes on a step by step your behind the process! Just finished up at Boston Comic Com and it was an incredible experience! Will definitely be going back next year. Thanks to all the amazing people that stopped by our tables to see our stuff. The tables with Sajad and Adelsos incredible work. 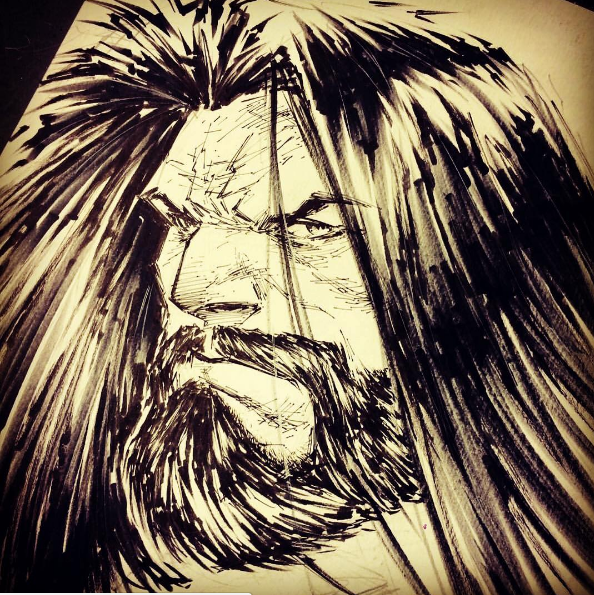 Adelso working on one of the several sketch covers he got over the weekend. Zindan prints. 900 down. 2000 more to go. One of the many amazing people that stopped by to get some signatures. Adeslo had a way with the ladies. We have been promising a female character for a while now. 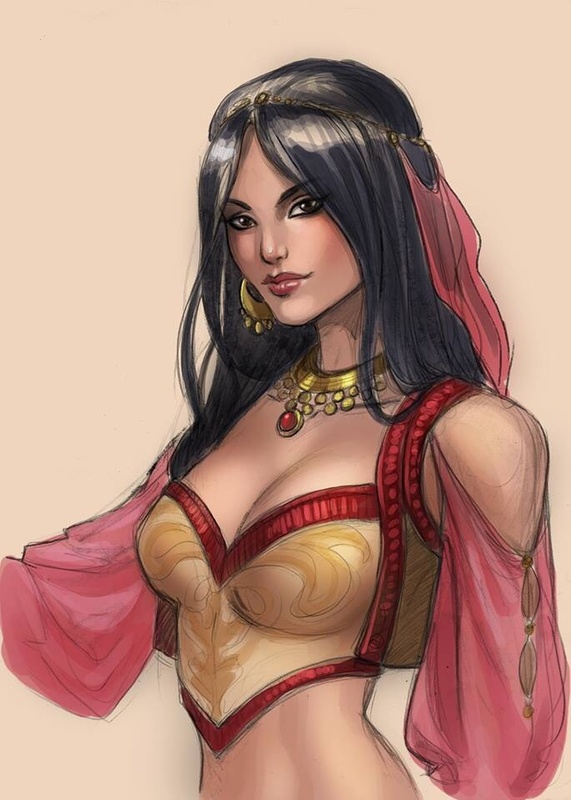 It's very important for us to have some amazing female characters as part of our story! 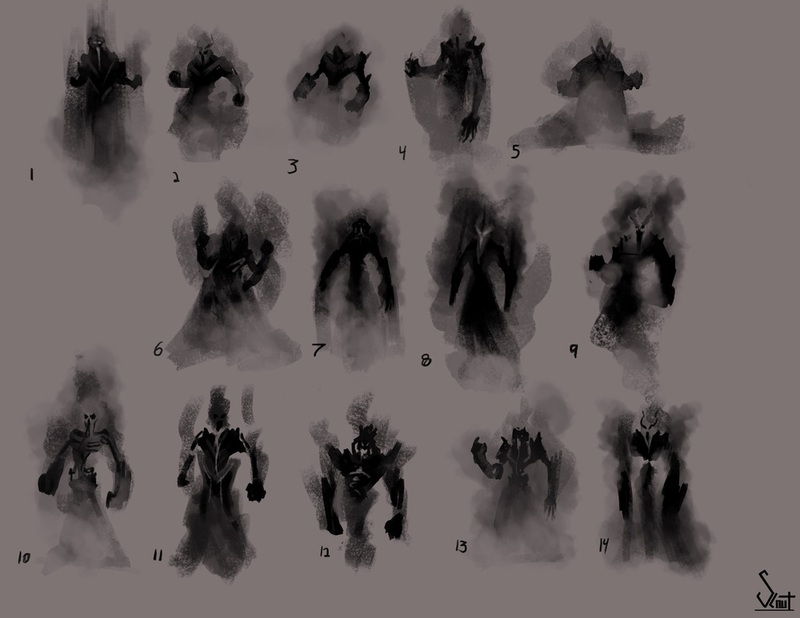 Here are some incredible concept designs from Sabine for one of our female bad girls. Let us know what you think!